The Rockets made it no secret they weren't interested in keeping Lin around. Why else would they plaster up a photo of Carmelo Anthony to woo him to Houston, showing him in a No. 7 Rockets jersey? Ouch. The next night, Lin led the Knicks to a 92-85 win over the Lakers, and scored a new career-high of 38 points with seven assists. Lin’s arrival in Los Angeles comes after a rough season for the Lakers, who failed to advance to the NBA playoffs for the first time since 2005. When the Lakers begin their 2014 season, they’ll be doing so with a new head coach, a new roster of stars, including second-round draft pick Jordan Clarkson, who, as Jeff Yang points out, is only the third player of Filipino descent to be drafted into the NBA and now gives the Lakers two strong Asian-American players in the nation’s largest Asian American television market. 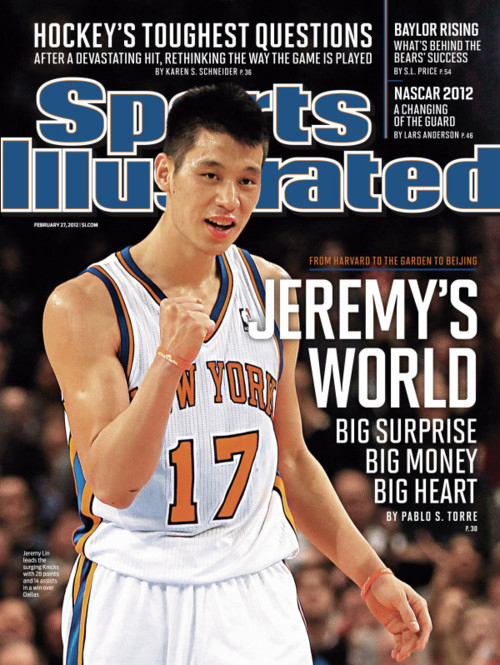 Smart move, L.A. And I'll admit, I'll be watching when Lin suits up, but I still don't think I can root for the Lakers.